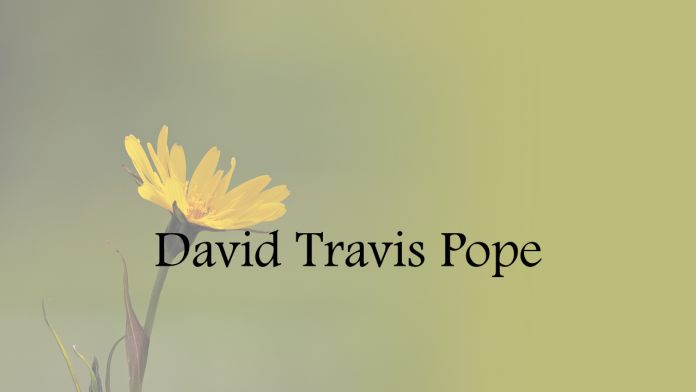 Funeral service for David Travis Pope, 55, of Vinemont, will be at 2 p.m. on Monday, March 25, 2019 at Cullman Heritage Funeral Home with Dewey Briscoe officiating; burial at Vinemont First Baptist Cemetery. Mr. Pope passed away on Friday, March 22, 2019 at Brookwood Medical Center. He was born, October 16, 1963 to Daymon and Margaret Pope. Survivors include his wife, Janine Pope, sons, TJ (Lori) Pope, Josh (Erica Sparks) Pope and Tyler Boike, daughter, Ashley (Charlie) Martin, 5 grandchildren, 3 great grandchildren, and sister, Sherry Hill. Visitation will be from 5 p.m. until 8 p.m. on Sunday, March 24, 2019 at Cullman Heritage Funeral Home.